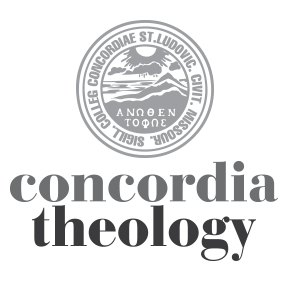 Editor’s note: This article is reprinted from the Winter 2018 issue of Concordia Journal. For pastors who follow the LSB three-year lectionary cycle, Series B gives precedence to Gospel pericopes from Mark’s account with readings from John’s Gospel replacing Mark frequently during the festival half of the year (in particular during the time of Easter). A lectio continua from Mark begins in the Sundays after Epiphany and then, after it is interrupted in Lent and Easter, picks up again on Proper 3. This lectio continua is then interrupted once again during Propers 13–15 when readings from the bread of life discourse from John 6 are read following Mark’s accounts of Jesus’s feeding the 5000 and walking on water. Pericopes from Mark then continue from Proper 16 to the end of the church year. This lectio continua, however, does not cover the entirety of Mark’s Gospel. One notable omission is the important narrative cycle of Mark 8:1–26, a section that James W. Voelz has called “the critical turn” in Marks’s Gospel. Perhaps future revisions of the lectionary may one day include these texts in the Series B readings as well. In this paper I would like to offer some thoughts that I hope will prove helpful for those who plan to focus on the Gospel of Mark in their preaching over the following year. How a reader approaches the Gospel of Mark will to a great extent be affected by how the reader chooses to understand the historical background and literary nature of this narrative. Thus there are several isagogical questions that should be considered from the very beginning. How preachers answer these questions may affect how they then approach the task of interpreting and then preaching on Mark. What is the relationship of Mark to the Gospels of Matthew and Luke? The two-document hypothesis argues that Mark was written before Matthew and Luke and then was one of two sources used by the authors of Matthew and Luke when they compiled their Gospels. One of the arguments used to support this hypothesis is that it is more likely that the later narratives would be longer than their sources due to their inclusion of extra material; since Mark is shorter than Matthew and Luke, it must have been one of the first Gospels written and the source for the other two Synoptic Gospels. One does not need to hold to this hypothesis, however, to note that both Matthew and Luke contain longer narratives and in some pericopes they include details not found in the parallel accounts from Mark. Thus it may appear as if both Matthew and Luke contain the “fuller and more complete” accounts of Jesus’s ministry when compared to Mark. And so, whenever a pericope in Mark is brief, missing certain details, or even a bit troubling when compared to the parallel passages in Matthew or Luke, the preacher may be tempted to default to the parallel passages of either of these two “fuller accounts” to give the “whole story.” Preachers who advocate a harmonizing approach when preaching the Gospels might move from focusing on a text from Mark to discussing the parallel texts in Matthew and/or Luke instead. My advice, however, is that, in spite of its shorter length, Mark should be read, interpreted, and preached first as a narrative in its own right. The unique features in how Mark presents the story of Jesus will be lost if the preacher chooses instead to default to either of the longer narratives. For instance, many details found in the baptism and temptation accounts of Matthew and Luke are absent in the briefer account in Mark 1:9–13 (part of the reading for Lent 1). I have heard preachers who were ostensibly preaching on the temptation account of Mark include the specific details mentioned in Matthew 4 and Luke 4 and then make the point that because Jesus used Scripture to refute the tempter, we ought to do the same. Yet there is no mention of Jesus doing this in Mark’s account! Such preachers wind up preaching on Matthew or Luke, not Mark. Mark’s “briefer” account of the temptation, however, does include elements not found in the other accounts: the verb έκβάλλω to describe how the Spirit gets Jesus into the wilderness, the mention that Jesus was with the wild animals, and an emphasis on how the angels appeared to minister to Jesus throughout the forty days. When preaching Mark 1:9–15 (the pericope for Lent 1), the preacher should focus on these features of the story and not discuss the three temptations from Matthew and Luke. Note that the preacher who believes that Mark was written later than Matthew or Luke—or who chooses at least to read Mark as an independent narrative regardless of theories of origin—will not be tempted to default to the “fuller” accounts of Matthew and Luke. What is the literary quality of Mark’s Gospel? Opinions regarding the quality of Mark as a literary work tended to be rather low in the early to mid-twentieth century. Generally, Mark was viewed as the first attempt to compile a narrative account of Jesus’s ministry (see the discussion of the two-document hypothesis above). According to this view, the author of Mark preserved certain traditions of Jesus’s ministry and presented them in a loose narrative framework. Generally Matthew and Luke were considered to have a higher literary quality—and this followed from the hypothesis that they both copied, adapted, and so improved upon Mark. Many scholars today, however, have offered opinions that Mark’s Gospel displays a higher literary quality than previously thought. Yet the preacher who holds to the older view regarding Mark’s “lesser” literary quality might then again have a tendency to default to the parallel passages from “the superior literary accounts” of Matthew and Luke. My advice, again, is that, no matter one’s opinion regarding the literary quality of the second Gospel, the goal still ought to be to focus on the unique features of Mark’s account. How much of the story of Jesus’s life and ministry does the author of Mark assume that his readers already know? Again, the older opinions regarding Mark—that it was written first and so amounts to a first attempt at preserving the story of Jesus—often sees Mark’s purpose as preserving the story of Jesus for those who do not know the details. Thus later readers might naturally see Mark as “less full” or “less sophisticated” as compared to Matthew and Luke when it appears that Mark’s Gospel actually fails to give the full account, which such readers would need. Consider, again, the temptation account of Mark 1:12–13. If the purpose of this Gospel were to inform readers who do not know the story of Jesus about the temptation account, the preacher might naturally feel compelled to reference either Matthew or Luke for the “full story” because it appears here that Mark simply fails to give the full story. Thus the preacher has an important decision to make when approaching Mark. If Mark is merely presenting the basic story for those who do not know it, then this narrative will certainly appear lacking when compared to Matthew and Luke. Then it might seem imperative to “fill up what is missing” in Mark by referring to the other Gospels. Yet if the preacher believes that Mark is addressing those who know the fuller story, then each of Mark’s choices in what he does not present, what he does present, and how he presents it becomes important in the overall rhetoric of this particular Gospel account. This will then inform how the preacher will proclaim the texts from Mark. Where is the ending of Mark’s Gospel? Where did the author intend to conclude his narrative of Jesus’s ministry? Is the conclusion of the narrative found in 16:8 when the women leave the tomb and, in spite of the young man’s word in 16:6–7, do not say anything to anyone? Or does the narrative include one of the two “longer” endings that are attested in manuscripts—each of which depicts Jesus appearing to his disciples? Or (as many scholars have proposed) is the original ending that once followed 16:8 now missing—an ending that must have depicted Jesus reuniting with his disciples in Galilee as promised in 16:7? Answering this question will not only affect how one will preach on Easter this year (when Mark 16:1–8 is the text), but also how the preacher will understand the Gospel overall. The three questions above come to a head when considering this final question. Some of the major objections to claims that 16:8 is the intended ending of Mark include these: (1) Since Mark wrote first, he must have included an account of the resurrected Jesus appearing to his disciples that both Matthew and Luke then later copied and adapted; (2) Since Mark is not a sophisticated literary work, it is unlikely the author could have intended such a sharp “suspended ending” as found in 16:8; (3) Since Mark was writing for people who did not know the full story, he must have included an account of the resurrected Jesus appearing to his disciples. If the preacher is not convinced that these other assumptions are true—or at least not completely dogmatic about each of them—then the conclusion might be that the author of Mark was capable of concluding his narrative at 16:8 and thus suspending from the narrative any account of the resurrected Jesus appearing to his disciples. On Easter Sunday such a preacher will point hearers to some other feature of Mark’s narrative and not default to accounts of post-resurrection appearances found in Matthew, Luke, or some reconstruction of the lost ending of Mark. This will likely also inform how the preacher approaches other pericopes in Mark as well. In his commentary, Voelz draws attention to two important themes in Mark’s Gospel. The central theme regards the presentation of Jesus in this Gospel, in particular its emphasis on the reliability of what Jesus says. Voelz argues that, when compared to the narratives of Matthew and Luke, Mark does indeed appear to present a narrative of Jesus’s ministry that frequently includes some troubling features. Jesus in Mark is presented as a divine person, the Son of God who represents his Father in what he says and does. Jesus exercises a unique authority over the demonic realm (e.g., 1:23–28), nature (e.g., 4:35–41), and even the commands in the Torah (e.g., 7:14–15). He is identified outright as the Son of God from heaven at his baptism at the very beginning of the story (1:11). This identification is made a second time at his transfiguration (9:7). And Jesus himself responds to the high priest’s question regarding his identity with an emphatic έγώ είμι (14:62). As the Son of God, Jesus’s word is authoritative and reliable—and this is demonstrated repeatedly throughout the narrative. Nevertheless, none of the other human characters in the narrative appear to understand Jesus and his mission, and no one makes the confession that he is the Son of God until the centurion’s declaration only after Jesus has died upon the cross (15:39). No one except for the narrator, God the Father, the unclean spirits (see 1:24; 3:11; and 5:7), Jesus himself, and finally the centurion at the cross appear to understand who Jesus is. Not even Jesus’s disciples appear to get it. What is more, in spite of his divinity, Jesus is also depicted as being a human being, sometimes even as a frail human. Note how Jesus sleeps through a storm on the sea (4:38), is unable to do many miracles in his hometown of Nazareth because of the people’s unbelief (6:5), and finally how he is subject to crucifixion and death. What is more, according to Voelz, Jesus is also depicted in Mark as a person who on occasions appears noticeably odd, strange, and even frightening. Note, for instance, how in Mark 11 Jesus seeks figs from a fig tree even though it is not the season for figs (11:13), and then he curses and destroys this fig tree when he fails to find any fruit on it. Such behavior might strike someone as being very strange. Perhaps the author actually intended that the narrative affect the reader in this way. Voelz argues that one effect of such a depiction of Jesus is to prevent the readers from entertaining any thought that it would have been more desirable for them to have witnessed Jesus’s ministry with their own eyes; no, things were strange and likely they would not have understood any better than the disciples. Then perhaps most troublesome in this narrative is that the author does not say that Jesus appeared to his disciples after the resurrection. Yet one point of this ending—and the depiction of Jesus throughout the Gospel—is that the reader is left only with Jesus’s word and promise. But, since Jesus’s word remains authoritative and true, his word is sufficient for the reader! Jesus is an authoritative teacher throughout this narrative (e.g., 1:22; 27). Jesus predicted how the disciples would find the donkey for his entrance into Jerusalem (11:2–4). Jesus predicted how the disciples would find the room where he would celebrate the Passover with them (14:13–16). And, most important, he predicted his own suffering, death, and resurrection (8:31–32; 9:31; 10:33). Everything came about just as he said. Thus we should expect that the promised reunion with the disciples (14:28; 16:7) would have also taken place, even if this is suspended from the narrative (if the story ends at 16:8). Thus in Mark, seeing is not believing. Rather believing in Jesus’s word and promise becomes seeing. The readers of Mark thus occupy a privileged position: They do not need to have been present in the past to witness Jesus’s ministry or even to have seen his resurrected body. It is enough that they have Jesus’s word and promise. In fact, they can stake their very lives on Jesus’s word and promise. One of the implications of this theme for preaching the Gospel of Mark is that the preacher should, of course, emphasize the reliability of Jesus’s word and promise throughout the year. Yet at the same time, the preacher must not ignore the troublesome nature or somewhat “harder” readings presented in some of the pericopes. For instance, when preaching Easter 1 (Mark 16:1–8), the preacher should avoid defaulting to Matthew or Luke to speak about how Jesus appeared first to the woman and then later to his disciples. Indeed, this pericope especially calls for the preacher not to make such a move. Rather here the preacher has an opportunity to unpack the central theme: The words of the young man at the tomb (16:6–7), especially the promise that Jesus’s disciples would see him in Galilee, recall Jesus’s own words and promise from earlier in the narrative (14:28). Thus, as Mark tells the story, the readers do not need to see Jesus appear to his disciples in the narrative. The readers are left instead with the word and promise of Jesus himself. If the preacher solves the “troublesome” nature of this pericope by referencing the other Gospels, the very effect intended by the author of Mark is ruined. According to Voelz, the second important theme is that Jesus has triumphed in his ministry through service and suffering. Jesus has come not to be served, but to serve and to give his life as a ransom for many (10:45). As his disciples, then, we too are called to follow him. In this we are called to be willing to suffer for the sake of Jesus and his words/the Gospel (see 8:38 and 10:29). In this we are also called to serve one another (10:42–45). One implication of this second theme for preaching Mark will be evident when dealing with the pericopes where Jesus explicitly teaches the disciples regarding discipleship. Consider Jesus’s words in 8:34–38 (from the pericope for Lent 2), 9:33–50 (from the pericopes for Proper 20 and Proper 21), and 10:42–45 (from the pericope for Lent 5). In these pericopes the pattern that Jesus has set in his own life and ministry does have implications for how we live as his disciples today. What, then, is the overall message of Mark’s Gospel? Jesus, the Christ, the Son of God, has indeed initiated God’s reign of salvation, and he has done this in power. Witness the miracles in which Jesus casts out unclean spirits, heals the sick, purifies the unclean, controls nature itself, and even raises the dead. This message is indeed the very “gospel of God” proclaimed by Jesus in 1:14–15: God’s reign has come in Jesus! It is in his Son Jesus that God is reconciling Israel, all of humanity, and, indeed, the whole of creation to himself. The reader is called to trust in this proclamation. Yet the reign of God in Jesus’s ministry was also hidden in humility and lowliness as ultimately revealed in Jesus’s service and suffering. Until Jesus returns, his disciples will also experience the reign of God in this same way: It is here, yet it continues to be hidden in humility and lowliness. Nevertheless, because Jesus’s words and promises are reliable, we can faithfully await the full revelation of God’s reign when Jesus returns in glory. Then we will see the resurrected Jesus—even as this is promised to the disciples by both Jesus (14:28) and the young man at the tomb (16:7). We will then fully participate in his resurrection and glory even as we now experience the saving reign of God in principal. In the meantime, however, we live by and rely on Jesus’s reliable word, for his word is true. In Mark, the story of Jesus’s ministry is framed by an interesting inclusio (literary “bookends”) where Jesus’s death on the cross is seen as parallel to his baptism. At the baptism of Jesus (1:9–11) three things occur: (1) The Holy Spirit comes “into him” (είς αυτόν); (2) The heavens are torn apart (the verb used is σχίζω); (3) The voice of God from heaven identifies Jesus as the Son of God. At Jesus’s death (15:37–39) there are parallel events and vocabulary. (1) When Jesus dies Mark uses the verb έκπνεύω (Jesus “spirits out”—note the contrast of the prepositions είς and έκ). (2) The curtain in the sanctuary is torn apart (again, the verb used is σχίζω). (3) The centurion—confessing, in a sense, upward from earth—identifies Jesus as the Son of God. And, again, this confession by the centurion is notable in that he is the only human character in Mark’s Gospel who identifies Jesus with this title. Thus, the overall story of Jesus’s ministry is framed by his baptism and his death. One might then argue that the true climax of this narrative is, in fact, Jesus’s death upon the cross where the centurion repeats God’s word spoken at the beginning of the narrative at Jesus’s baptism. The reader of Mark ultimately discovers, with the centurion, that Jesus’s identity as the Son of God is ultimately demonstrated at the cross. It is there that Jesus proves that he is faithful to his Father’s will—faithful unto death, even death on the cross. Note how this bookend in Mark is reflected during the season of Lent in Series B: Mark 1:9–15 is the pericope for Lent 1. This includes not only the temptation account, but also the account of Jesus’s baptism and so God’s identification of Jesus as his Son. The pericope concludes with Jesus openly announcing that the reign of God has come. That it has come “in power” is demonstrated as the narrative continues in 1:16ff. Yet in the passion narrative (Mk 14–15) read on the Sunday of the Passion/Lent 6, the reader hears that ultimately Jesus’s ministry concludes with suffering and service. The words of the centurion recall what God has said about Jesus, and the reader learns that it is at the cross that Jesus ultimately shows himself to be the Son of God. The account of the empty tomb (16:1–8) on Easter 1, then, might actually function more as an epilogue or denouement to the main narrative. Note especially how the young man at the tomb in 16:6 identifies Jesus as “He who (has been and as a result) is crucified” or, more simply, “the crucified one.” The readers are thus reminded of “the main event” of Jesus’s death on the cross—the place where God’s reign truly is hidden in humility, lowliness, suffering, and service. And, as noted above, the young man’s words in 16:7 also recall the overall theme of the narrative by pointing the reader back to Jesus’s word and promise (here, Jesus’s word in 14:28). Series B provides an opportunity for some challenging and, I would argue, exciting opportunities for proclaiming God’s word as it is found in the Gospel of Mark. Again, I would advise that the preacher resist any temptation to leave behind even what may appear to be “incomplete” or “troubling” narratives from Mark for the “fuller” or “less troublesome” parallels in Matthew or Luke. There is much more that could be said about preaching throughout Series B, yet I pray that the thoughts I have offered here may provide guidance over the weeks ahead. James W. Voelz, Mark 1:1–8:26 (Concordia Publishing House, 2013), 51, 493. Note, however, that the readers of Mark are in a privileged position as they are privy to Jesus’s true identity from the very beginning of the narrative (if one reads ui`ou/ qeou/ in Mark 1:1). Ibid., 54. Voelz notes that according to many other interpretations of Mark’s this is often said to be the first and most central theme of this Gospel. Voelz, however, argues that this is the “penultimate theme” when compared to Mark’s emphasis on the authority and reliability of Jesus and his word. I understand that no matter how much material you present it will never be “complete”. I wonder if one more point to reading Mark as presented would be that the Holy Spirit intended that only what is written for our benefit is God’s will. I have been guilty of including the “fuller message” in the past, but am approaching tomorrow’s text without including Matthew’s and Luke’s account. Thanks for yours (and Dr. Voelz’s) insights. I remember well spending two days of class discussing Mark 1:1 my 4th year. Again, thanks for your presentation.